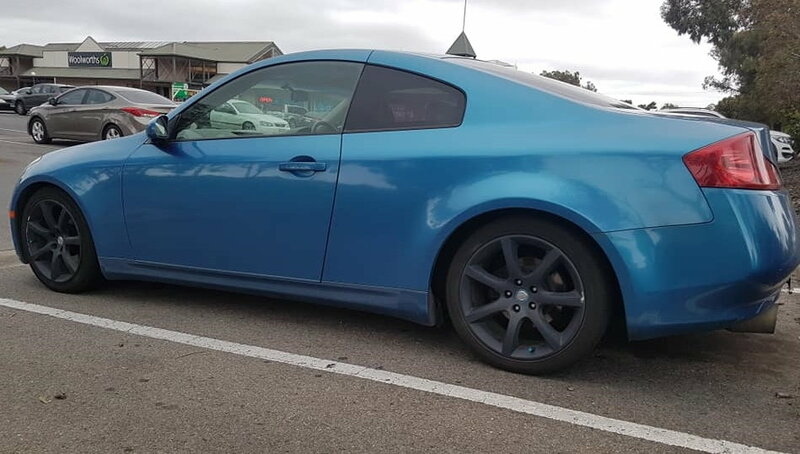 Just joined,big hello to everyone here.. picking up a coupe in couple of days, hope to learn plenty here. Hey man, no one has replied to you yet so I guess I am the first to welcome you, though I am new myself. Nice looking G35, is that the one you are buying or being that it's been a few days has bought? I love this car and you definitely came to the right place. I personally don't think there is a better community dedicated to our favorite car anywhere, as I have lurked here for a few years and have seen nothing comparable. Nice ride, spend your $$ on maintenance to keep 'er running! Gary's best advice to new members: Read all the "stickys" at the top of the coupe page, everything! When you have a question use our "Search" function at the top of this page! No one has a question that hasn't been answered since this forum began in 2003! When you do have to ask a question don't be offended when everyone posts, "Have you tried our Search!" thanks guys,,picked it up yesterday,few things need to be sorted, but awesome car..
ok newbie i need to get a fact here about the g35.